Coffee, coffee, coffee! 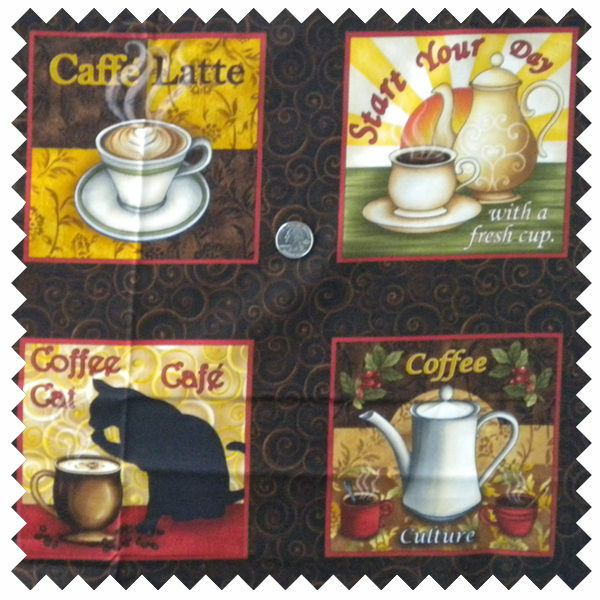 One square with a kitty – the rest feature coffee images. Each panel 23” x 44 with 15 squares and each square is approx. 6”. Henry Glass & Co.
Coffee Cats Cafe Panel. 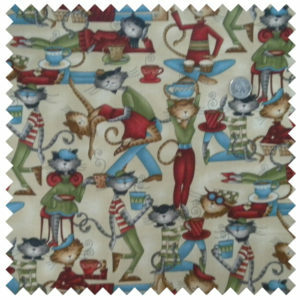 Beatnik kitty cats in their hippie attire accented with coffee cups, chairs and bongos on a dark brown background. 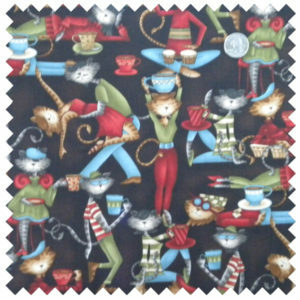 Purr-fect for pot holders, microwave bowl holders, mug rugs and aprons. One square with a kitty – the rest feature coffee images. Each panel 23” x 44 with 15 squares and each square is approx. 6”. Henry Glass & Co.
Order in single units. Multiple units will be sent as one piece of fabric.